Opened in 1856, Hastings Cemetery and Crematorium is situated within an 87 acre site, on the north eastern outskirts of Hastings town, with glorious views over parts of the Sussex Weald and Rye Bay. The Crematorium opened in 1956 and has been recently updated to house the latest emissions abatement equipment. 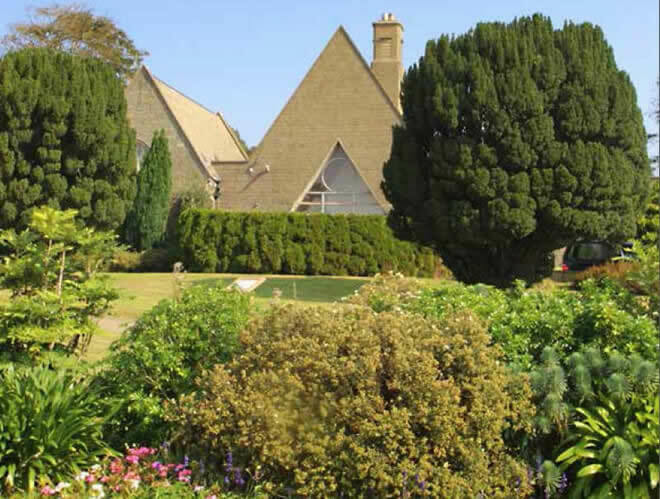 We provide facilities for multi-denominational burial and cremation, with use of an 80+ seated chapel plus an overflow area for larger congregations and an undercover flower area for display of flowers after the service. The cemetery provides varies options to lay loved ones to rest; a natural woodland burial area, Woodland Walk for scattering of ashes in a quiet and peaceful environment, the Garden of Remembrance and purchased burial and cremated remains plots in various areas of the cemetery. A wide variety of memorial options are available to remember and celebrate the life of family and friends; The Book of Remembrance, memorial seats, various plaques and tree and shrub memorialisations. Please click on address above for a link to Google Maps.